denoting or relating to popular dance music of black origin. criteria or political boundaries (e.g., area within the jurisdiction of a municipality or town committee), a threshold population size (where the minimum for an urban settlement is typically in the region of 2,000 people, although this varies globally between 200 and 50,000), population density, economic function (e.g., where a significant majority of the population is not primarily engaged in agriculture, or where there is surplus employment) or the presence of urban characteristics (e.g., paved streets, electric lighting, sewerage). In 2010, 3.5 billion people lived in areas classified as urban. The (relative or absolute) increase in the number of people who live in towns and cities. The pace of urban population growth depends on the natural increase of the urban population and the population gained by urban areas through both net rural-urban migration and the reclassification of rural settlements into cities and towns. The proportion of a country that is urban. urbanization result when the urban population grows at a faster rate than the total population. improve the comparability of measurements of city populations across countries and over time. urban levels of residential density. Large urban agglomerations often include several administratively distinct but functionally linked cities. For example, the urban agglomeration of Tokyo includes the cities of Chiba, Kawasaki, Yokohama and others. metropolitan areas include Greater London and Metro Manila. Also ‘horizontal spreading’ or ‘dispersed urbanization’. The uncontrolled and disproportionate expansion of an urban area into the surrounding countryside, forming low-density, poorly planned patterns of development. 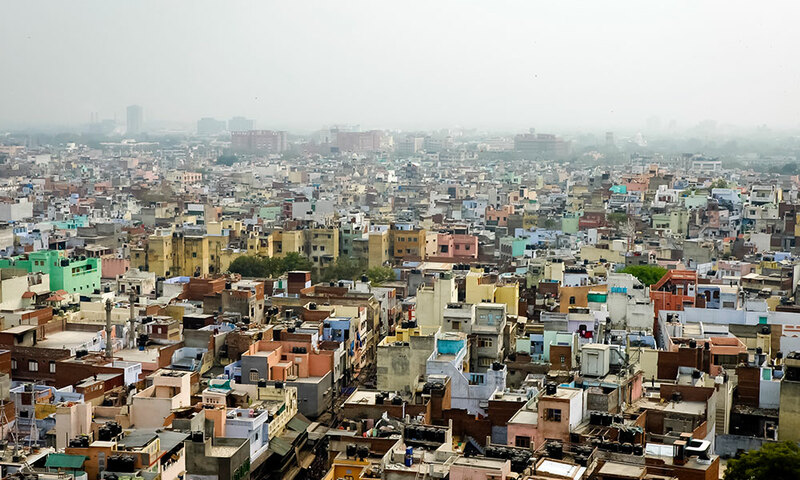 Common in both high-income and low-income countries, urban sprawl is characterized by a scattered population living in separate residential areas, with long blocks and poor access, often overdependent on motorized transport and missing welldefined hubs of commercial activity. An area between consolidated urban and rural regions. An urban agglomeration with a population of 10 million or more. In 2009, 21 urban agglomerations qualified as megacities, accounting for 9.4 per cent of the world’s urban population. In 1975, New York, Tokyo and Mexico City were the only megacities. Today, 11 megacities are found in Asia, 4 in Latin America and 2 each in Africa, Europe and North America. Eleven of these megacities are capitals of their countries. A major conurbation – a megacity of more than 20 million people. As cities grow and merge, new urban configurations are formed. These include megaregions, urban corridors and city-regions. by rapidly growing cities, great concentrations of people (including skilled workers), large markets and significant economic innovation and potential. Examples include the Hong Kong-Shenzhen-Guangzhou megaregion (120 million people) in China and the Tokyo- Nagoya-Osaka-Kyoto-Kobe megaregion (predicted to reach 60 million by 2015) in Japan. A linear ‘ribbon’ system of urban organization: cities of various sizes linked through transportation and economic axes, often running between major cities. Urban corridors spark business and change the nature and function of individual towns and cities, promoting regional economic growth but also often reinforcing urban primacy and unbalanced regional development. Examples include the industrial corridor developing between Mumbai and Delhi in India; the manufacturing and service industry corridor running from Kuala Lumpur, Malaysia, to the port city of Klang; and the regional economic axis forming the greater Ibadan-Lagos-Accra urban corridor in West Africa. An urban development on a massive scale: a major city that expands beyond administrative boundaries to engulf smal cities, towns and semi-urban and rural hinterlands, sometimes expanding sufficiently to merge with other cities, forming large conurbations that eventually become city-regions. For example, the Cape Town city-region in South Africa extends up to 100 kilometres, including the distances that commuters travel every day. The extended Bangkok region in Thailand is expected to expand another 200 kilometres from its centre by 2020, growing far beyond its current population of over 17 million. Sources: UNDESA, Population Division; UN-Habitat.